How do we overcome “impossible”? Is it a matter of manifesting new abilities, or sometimes, do we need to just get out of our own way? Bri has been featured on NBC’s The Today Show, Forbes, Inc., Medium, Free Enterprise, Kickstarter and PBS. In 2016, she received the ‘Outstanding Small Business’ award from the Los Angeles Mayor’s Office. [2:30] – Meet this week’s guest, Bri Seely! [3:00] – Messages from beyond inspire Bri’s new best selling book. [8:30] – Taking a leap of faith. [14:00] – The value of failure. [17:00] – The power of writing & speaking your goals into existence. [21:15] – Limiting beliefs and your BRAIN. 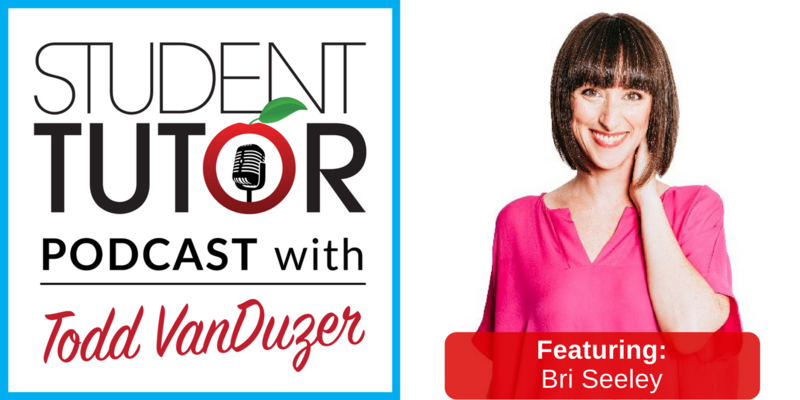 [24:15] – Bri’s #1 piece of actionable advice for parents and teens. [28:15] – Questions from ST Mastermind students. 1. Don’t be afraid to take a leap of faith! 2. Tap into the FEELING of your goals. Visualize what it will feel like when you reach your goal, as you work towards it. Anything is possible, but only if you believe it to be. 3. It’s not what HAPPENS that matters, the STORY you tell yourself is. It’s not the circumstance you’ll remember, it’s the meaning you attach to it. Be conscious of your thoughts and patterns. The stories you tell yourself may or may not be true.